When June Willison, her partner Barry and their two children moved into their new cottage in Kent, the property had been converted from three tiny cottages, but was in good shape structurally. However, the house lacked character. Owners: June Willison, who runs vintage and antique furniture business, Cloudberry Home, and Barry Monk, a marketing consultant, live here with daughter Louisa, 18, and tabby cat Summer. Property: A three-bedroom semi-detached Victorian house converted, together with its neighbour, from three cottages in the 1980s. Location: Crouch, near Sevenoaks in Kent. Essential repairs: The property was in reasonable condition, so work was undertaken to add character and to make the space work better for a family. Layout: The couple replanned the ground floor space to improve the flow and add storage and a new bathroom upstairs. At first it was a fairly characterless cottage and it was important for June to put her personal stamp on it. 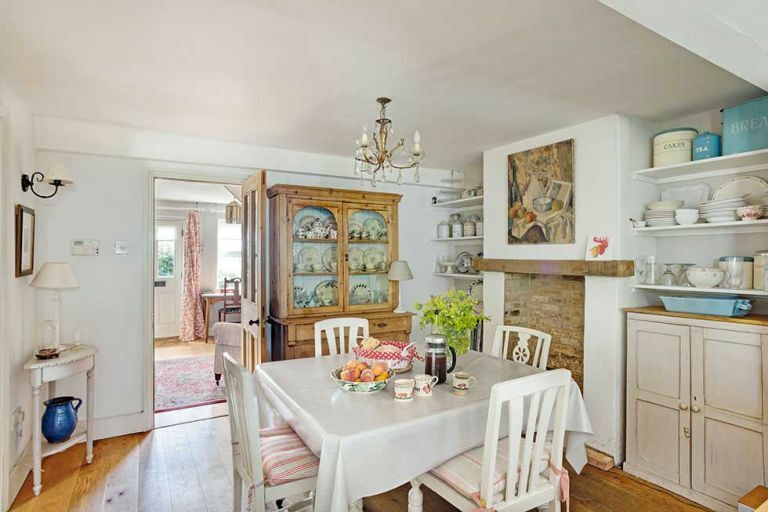 Previous owners had removed fireplaces and other period features, but the couple restored them sympathetically, asking a local builder to leave a rough, uneven finish to recreate some rustic charm.